Being Australian, I love vegemite! However, this salty spread is not the healthiest, it’s loaded with preservatives and a hefty amount of salt. “Nooooo” I hear you say?! Don’t fear, I have an alternative: ‘Brown Miso Paste’. Yes believe it or not brown rice miso paste has the same distinct salty taste that makes for the perfect substitute. It also contains incredible nutritional benefits; it’s rich in minerals, B vitamins, vitamin E, folic acid, probiotic qualities for good gut heath and finally the salt in miso paste is absorbed differently (in the body) than compared to regular table salt. 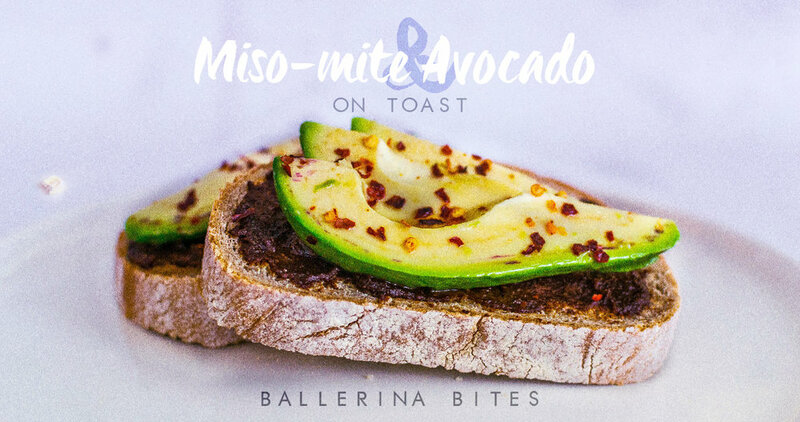 For this month’s recipe I decided to share ‘Miso-Mite & Avocado Toast’. 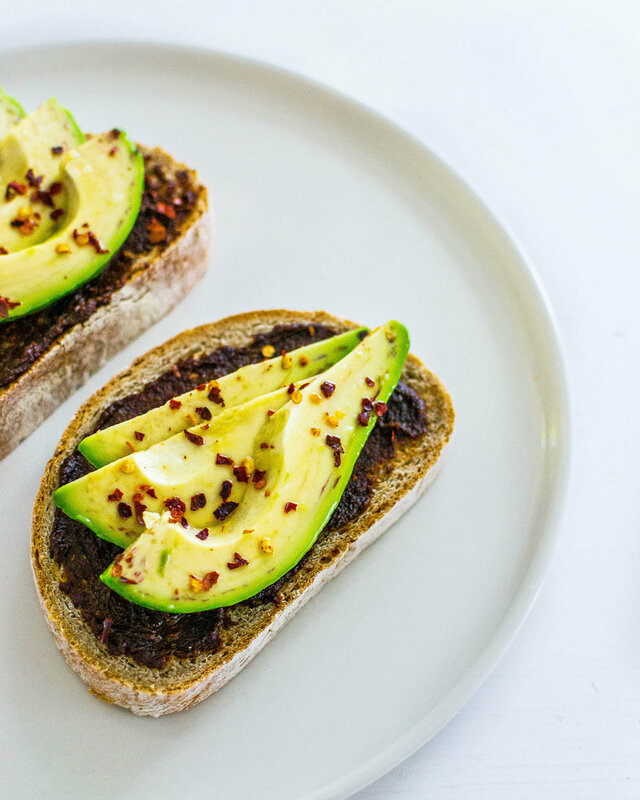 Yes, I’m sure you know how to make toast, but I mainly wanted to share this little foodie revelation that’s going to be so much better for your health! 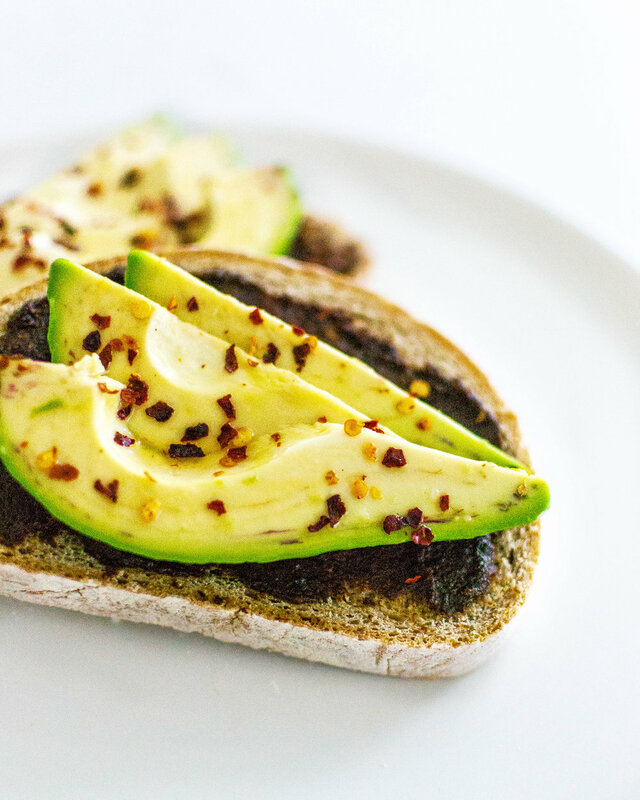 Spread brown miso paste on each slice of toasted bread and top with avocado slices. If you’re wanting to make your toast even tastier, squeeze over lemon juice and a sprinkle of chilli flakes. PS: Be sure to check out my last recipe Date and Almond Joys and tag me on Instagram @ballerina_bites so I can see your wonderful recreations! Want more? Subscribe below for inbox inspo.